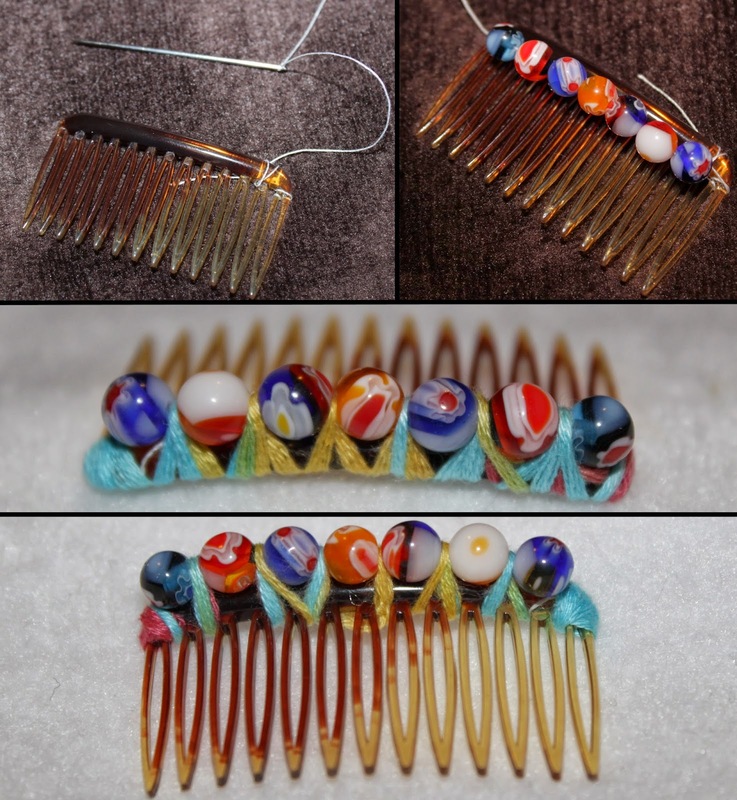 Today’s project was an Embellished Hair Comb. This could be done multiple ways—for instance, gluing on rhinestones—but I chose to go with threading on 4mm beads. I double-knotted the thread on, then wrapped it around the top of the comb a couple of times before stringing on several beads. I tied the thread off at the end, leaving a bit of a tail which got wrapped over once I added the embroidery thread. 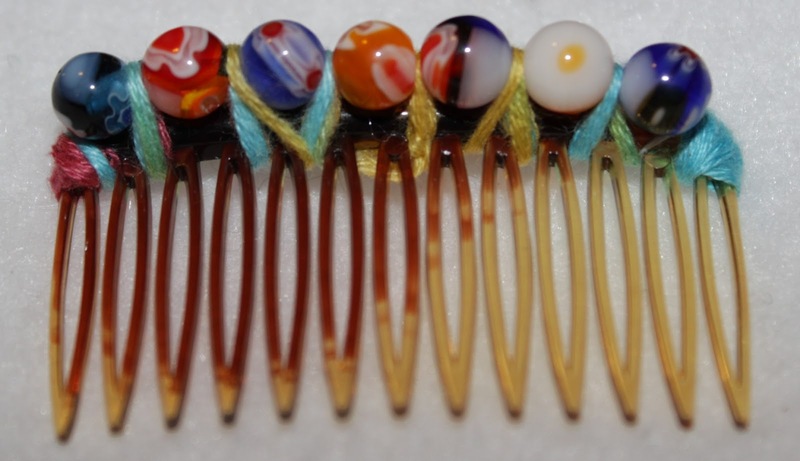 The embroidery thread wrap was done similar to February’s hair comb project. I did one quick wrap between each bead, then wrapped more closely on the way back down, tucking and tying it off at the end. I added a dab of super glue to the final knot for extra hold! Tomorrow’s project is a Ribbon Scrap Bow!